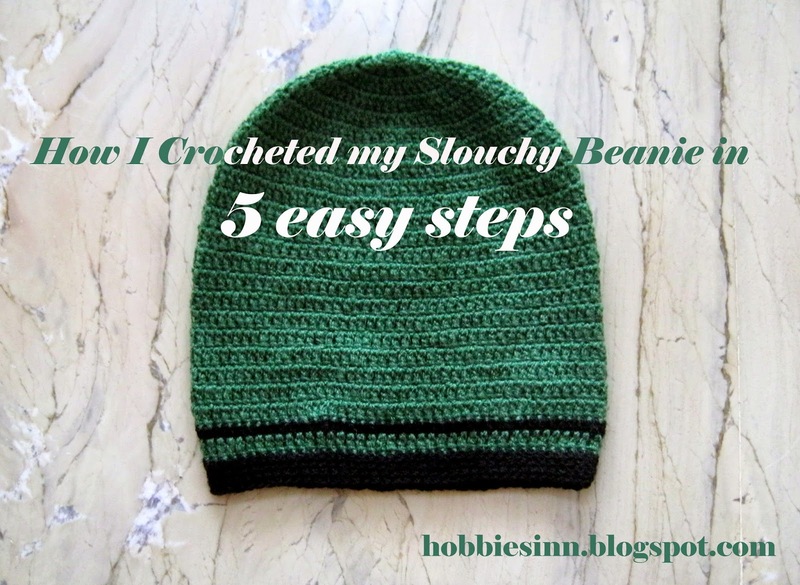 How I Crocheted my Slouchy Beanie in 5 Easy Steps.. I find myself strangely hooked to crocheting this season and i'm seriously doing nothing else. All my other craft ideas have to hang there in my mind till i'm over this crochet obsession of mine. Today's post is all about slouchy beanies: Tutorial, Tips and Tricks on how you can get it done rightly. The Slouchy beanie or cap you see here is unisex. For a perfect beanie perfect measurement is necessary. Measurement for crown of a beanie: 7.5 inches for adult. Lengthwise measurement for beanie: 9 inches. 2) 1 thick crochet hook and 1 smaller hook. I used 9 mm and 4 mm hooks respectively. Rnd 1: Make magic ring. Ch 2. 11 Dbl st's in magic ring. (stitches including ch 2). Rnd 2: ch 2. 2 Dbl st's in each stitch. (24 stitches). Rnd 3: Ch 2. 2 Dbl st's in each stitch. (48 stitches). Rnd 4: Ch 2. 3 Dbl st's. In 4th stitch make 2 dbl st's. Repeat. (56 stitches). Rnd 5: Ch 2. 4 Dbl st's. In 5th stitch make 2 dbl st's. Repeat. (67 stitches). Rnd 7: Ch 2. 6 Dbl st's. In 7th stitch make 2 dbl st's. Repeat. (76 stitches). Rnd 8: Ch 2. 8 Dbl st's. In 9th stitch make 2 dbl st's. Repeat. (84 stitches). Rnd 9: Ch 2. 20 Dbl st's. In 21st stitch make 2 dbl st's. Repeat. (88 stitches). Tip:Measure the crown of your beanie, it should be 7-7.5 inches. I'm specifying measurements in case some of you may want to use a differently weighted yarn whose stitches may not match to that of my own. STEP 2: FIXING THE LENGTH. Rnd 10-21: ch 2. Dbl st in each st(84 stitches). Tip:By now the length of the beanie must be 8 inches. You can inc or dec rows accordingly to make it more or less slouchier. we have to decrease 10 stitches evenly so as to have a tighter circumference of the cap so that it will not fall off. Tip:Average circumference of head:62-65 cms. Rnd 23:Change color. I used half double crochet stitch for this round and decreased 6 stitches evenly. That makes it after every 14th stitch. (78 stitches). Rnd 24: change color(green). make a round of Dbl st's. Rnd 25-28: Change color(Black). Make sn st in each st.
Why I used 2 hooks? Bigger hook made my beanie soft,quickly and more flexible. Smaller hook made the brim tighter so that it may not fall off. I couldn't take more photos of this beanies it was taken from me as soon as I finished it. 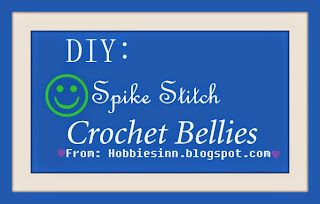 I'm back again with my new design of crochet bellies. A combination of Black and green giving your heels a new style ;) This one is not complemented with any flower or a bow but rather a cute green fish button. I called it I Love you slipper because of the button. It says I love you. The cutest button it is. 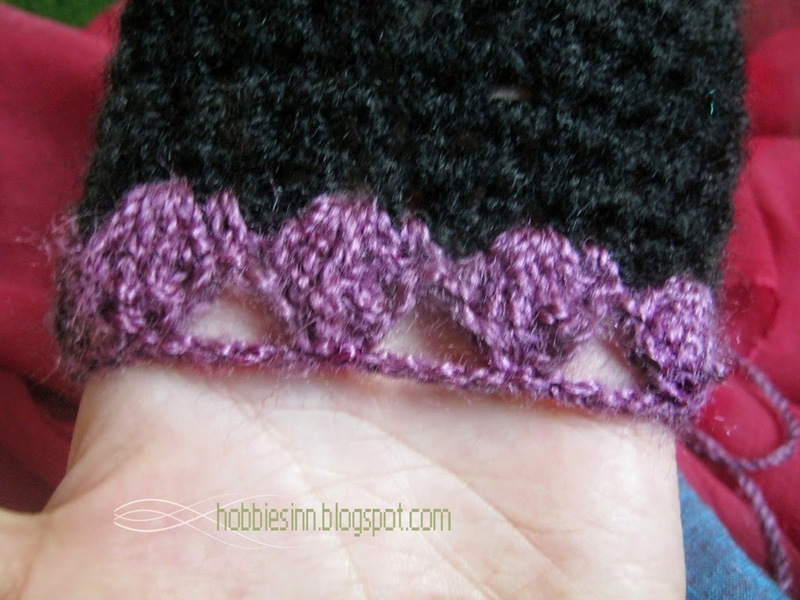 To make this beautiful pattern follow this Tutorial. 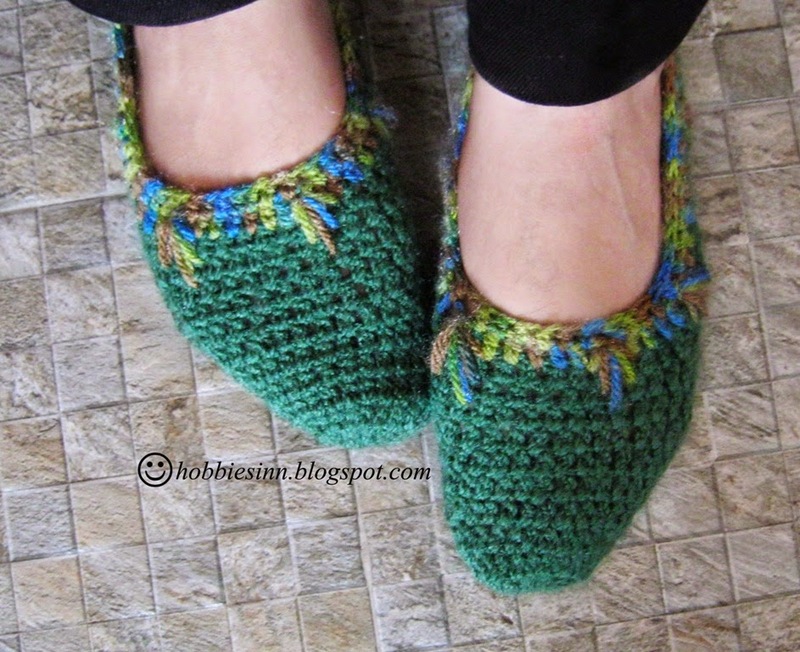 Change the yarn color after you are done with the cap and at the heels. I have used nylon yarn in this one, it is much thinner than the cotton yarn and hence requires 2 strands of the yarn to be crocheted together. Half double crochet falls between single and double crochet in height. if you know one of these you will pick this stitch quiet easily. Here is how you can do it. 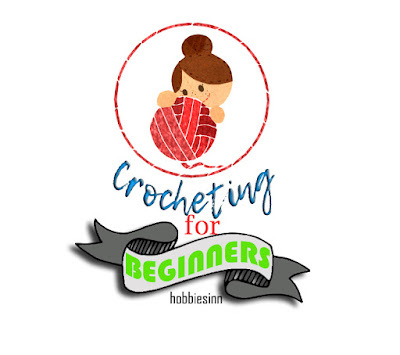 A very informative guide to get you started with half double crochet and other basics. 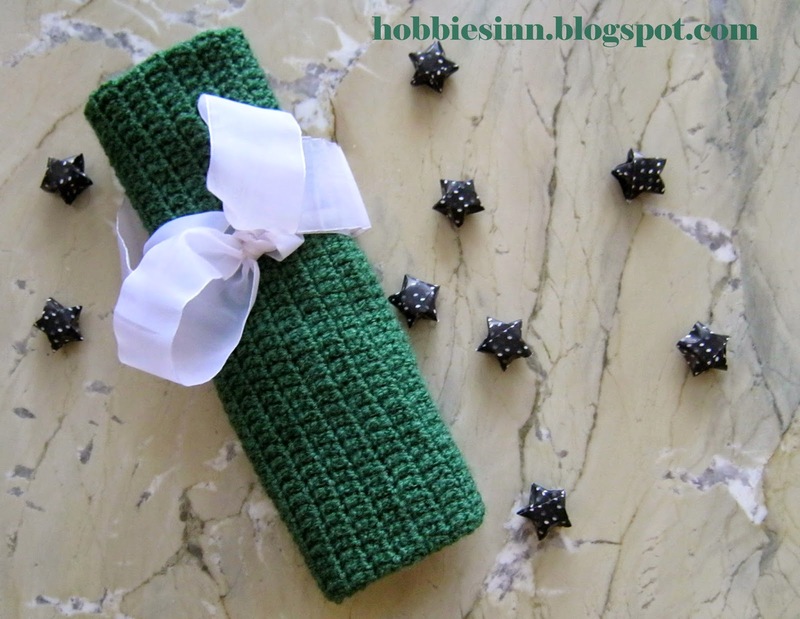 I hope you liked this pattern and make it for your self or a cute gift for someone you love. If you made a similar one I would like to see it too. Comment me your suggestions and queries if any. 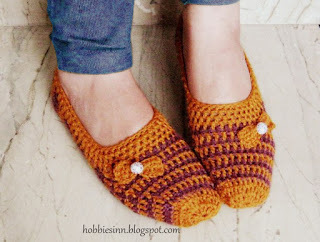 Crochet slippers are trending in lately and I seem to have fallen in love with these. I come up with a new design daily. 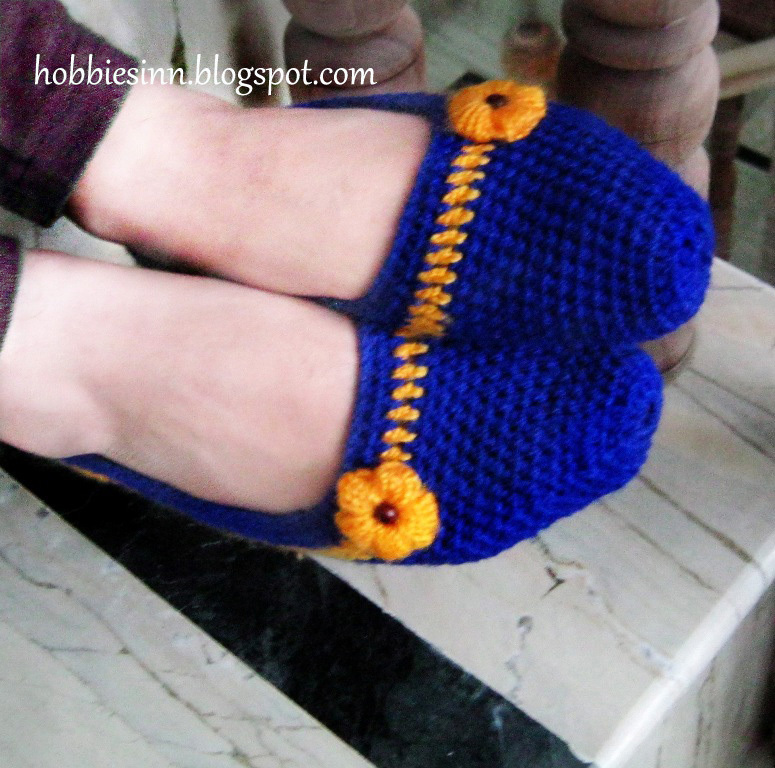 Comfy and good looking slippers are must have for anyone as they go well with any outfit u wear. The color combo i used for this one are quiet trendy that you might like as well. 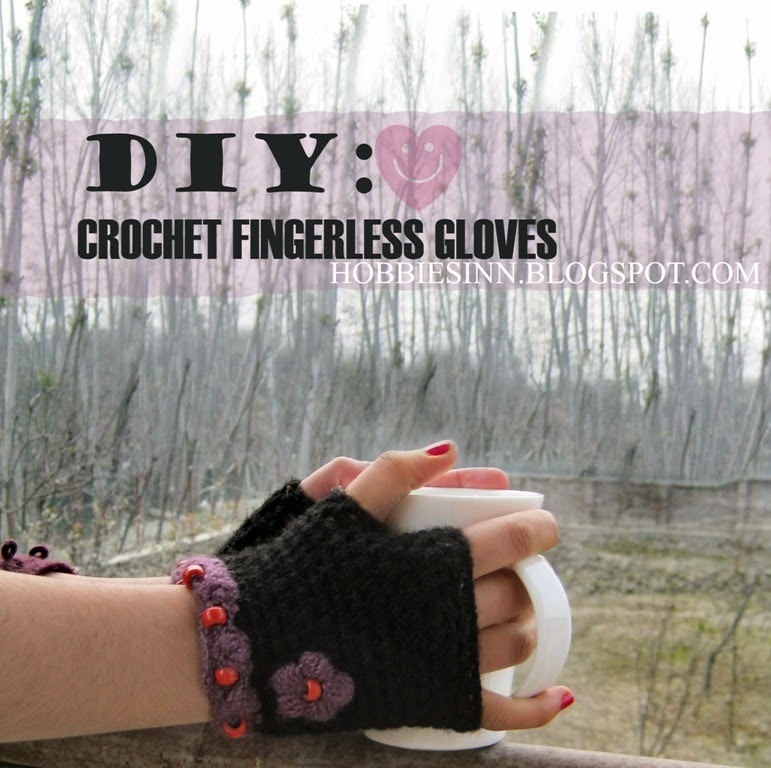 Simple to make for even a beginner. Watch my video for the instructions to make one for your self. 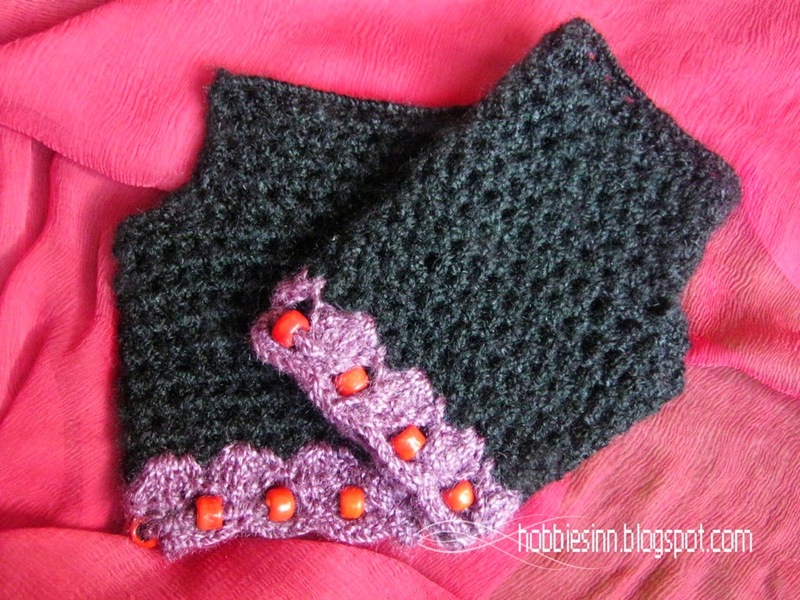 In this post I'm showing you how to change color in crocheting. 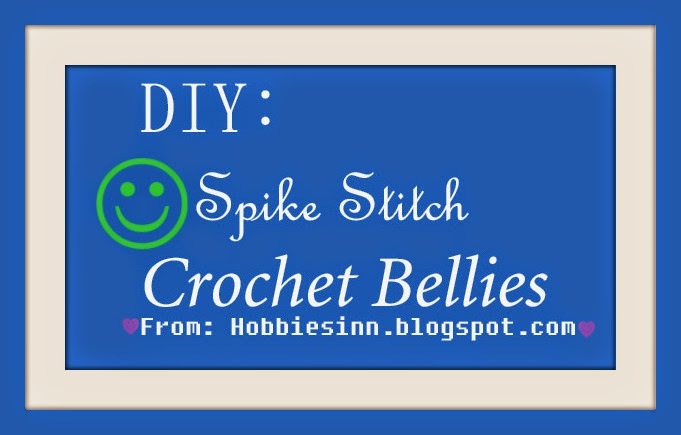 >We are using double crochet stitch in this one. >Do the double crochet stitch till last two loops are on the hook. >Take a different colored yarn and pull it through both the loops. >Continue you work with the new colored yarn. I hope that you like this design. Feel free to ask any question and I will be there to answer your queries. 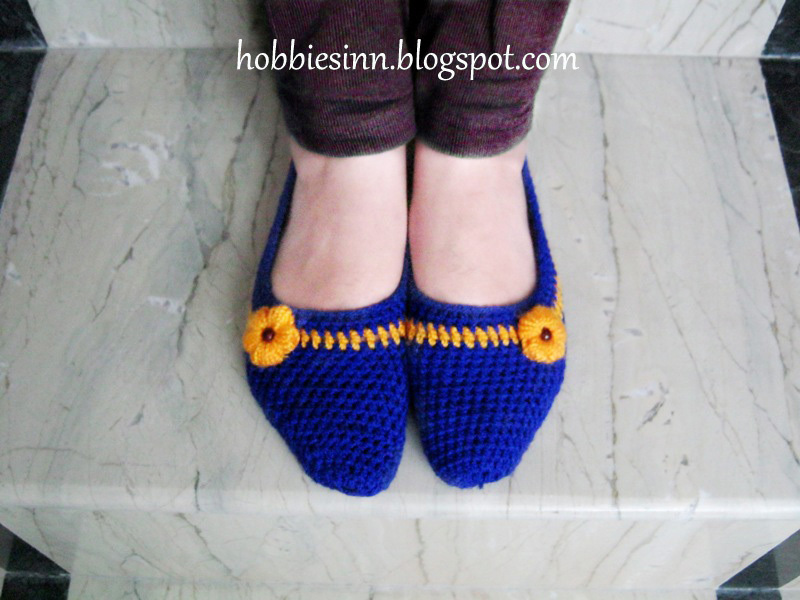 Hey there this is my new pattern for a wonderful crochet slippers. I used neon blue and bright yellow yarn for this combination and result was way too pretty than I thought. 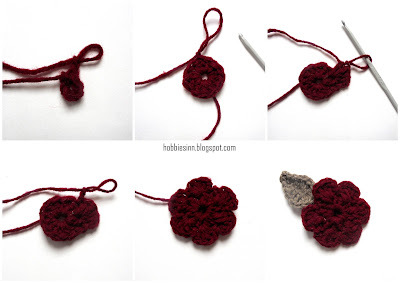 Round 1: Crochet a magic ring. Round 2: Crochet 10 half double crochet stitches. 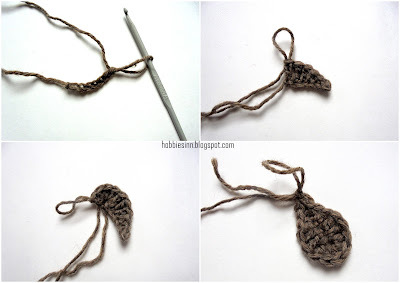 Round 3: Make 2 Half double crochet stitches in each stitch. You will have 20 stitches here. 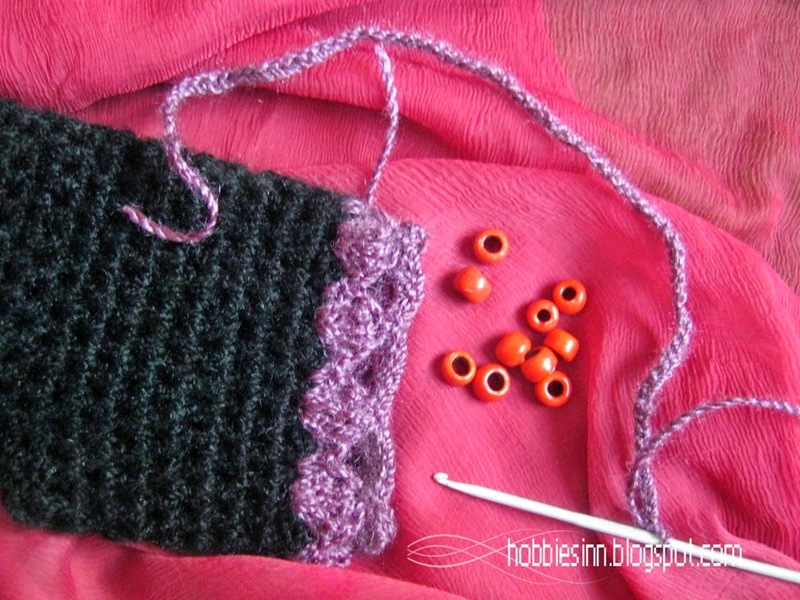 Round 4: Make 1 Half double crochet stitch in one stitch and 2 half double crochet stitches in next. Total stitches at this pint will be 30. Round 5 to 10: Make 1 half double crochet stitch in each stitch. Round 11: Crochet 20 Half double crochet stitches. Round 12 to 28: Crochet 20 half double crochet stitches in each stitch. Fold and sew the ends. 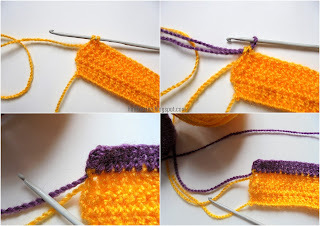 Now take a yellow yarn and make a rim of double crochet stitch with it. 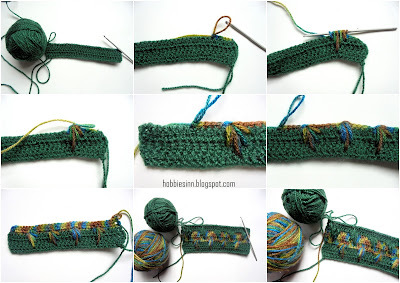 Take back the blue yarn and make 2 rows of half double crochet stitches with it. So what are you waiting for grab a crochet hook and yarn and start making these beautiful slippers, I would be very glad to see yours too. 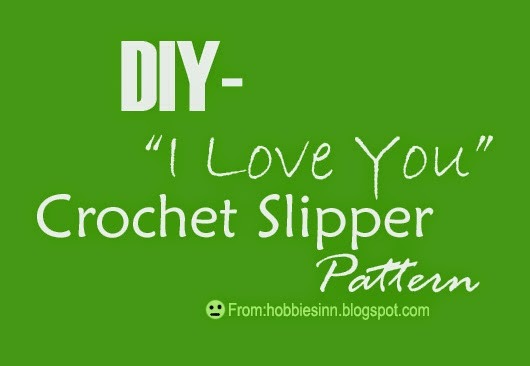 You can also watch the video tutorial to make such a slipper here. A free time is a blessing and I'm having plenty of it nowadays. 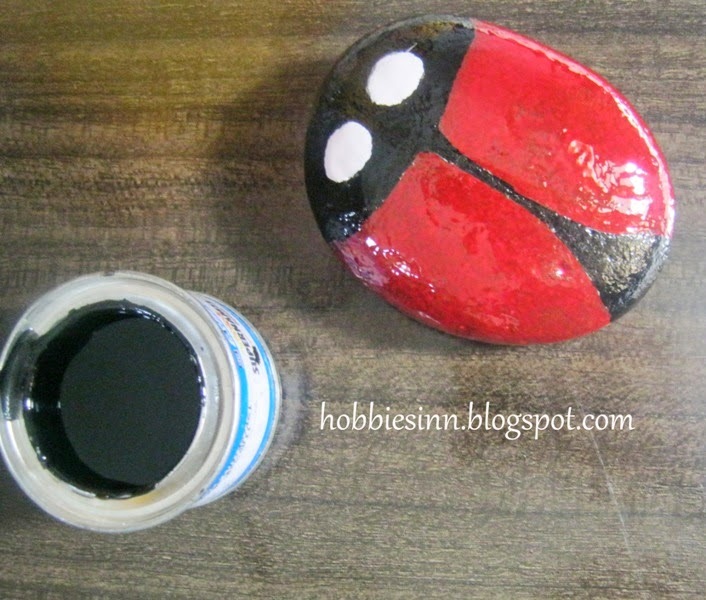 crafting around seems the best i can do most of the time and its fun too. 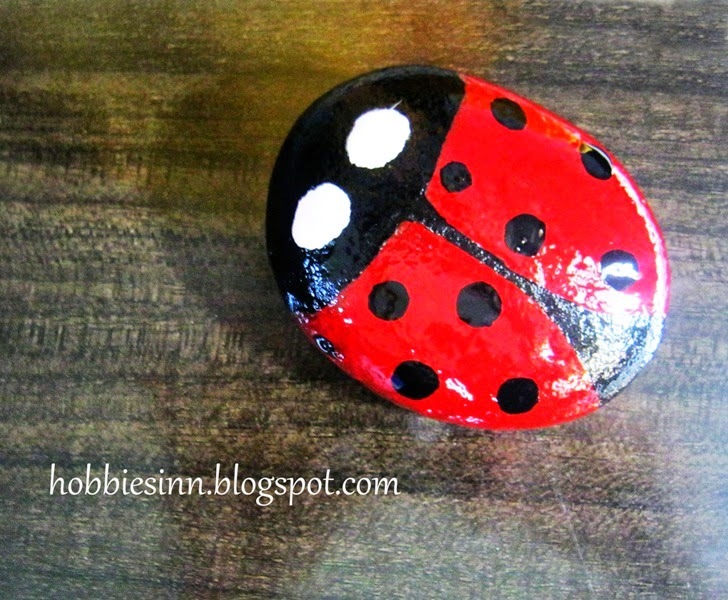 Painting stones and pebbles make good craft and is fun to do. 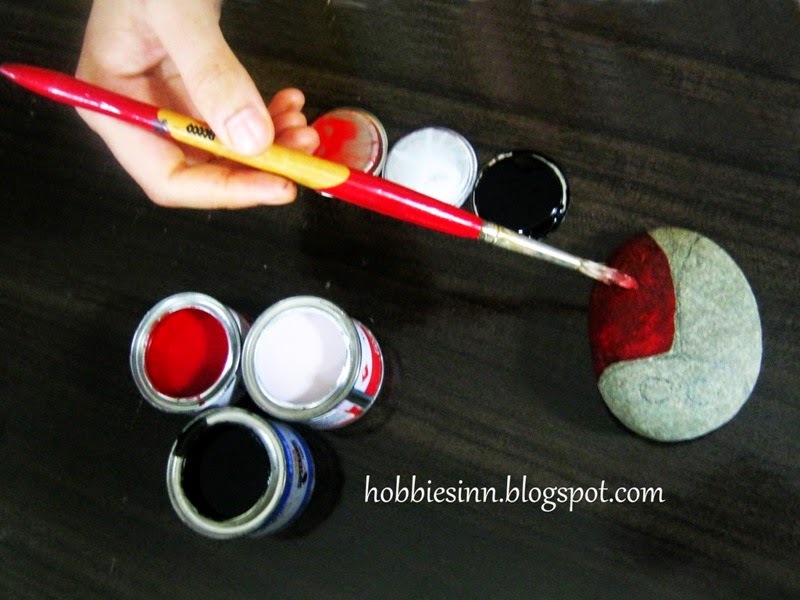 I choose to paint some stones for the garden decor. Place in pots or in flowerbeds. 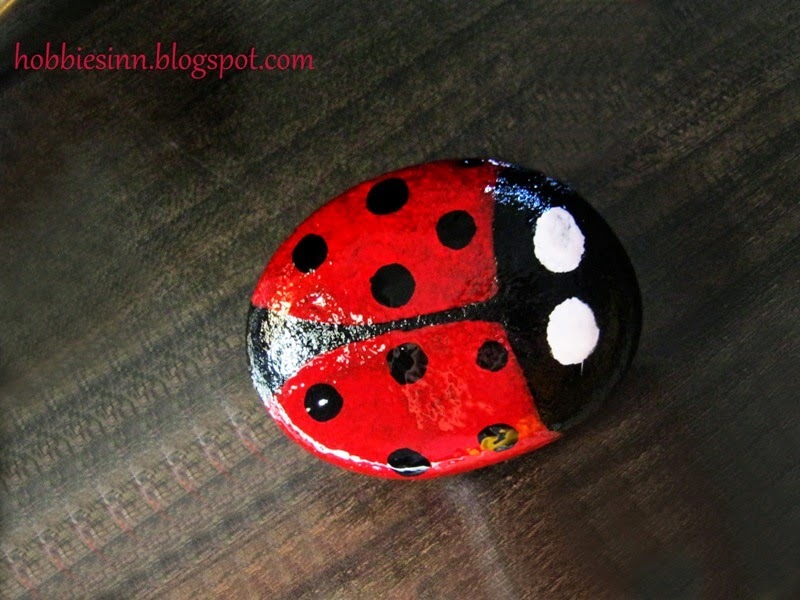 You can paint other insects too and decorate your flowerbeds. Share this activity with your friends and family. Its the most wonderful time of the year, chilly outside and comfy insides :) And in this serenity what can be more better idea of having snacks than the very chilly pakodas from Indian kitchen. I'm going to share the most easiest snacks recipe in this very blog post. Difficulty level : Too easy. 1) Slice Onion , and chop the green chilies. Keep oil to get hot. 2) Add water to the gram flour and mix well. 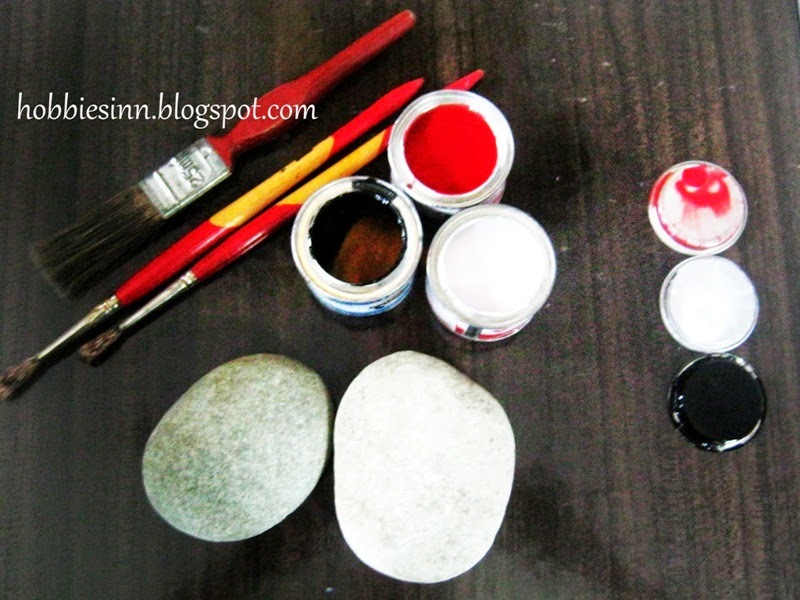 you will have a mixture of thin consistency. 3) Add Green chilies, onion and salt. 5) With the help of a tablespoon pour the mixture in the hot oil and start frying. 6) Fry till light brown. How to make onion chutney. 2) Add red chilly and salt. 3) Mix well. and your onion chutney is ready. 4) You can add peppers and green chilies if you like it more spicy.